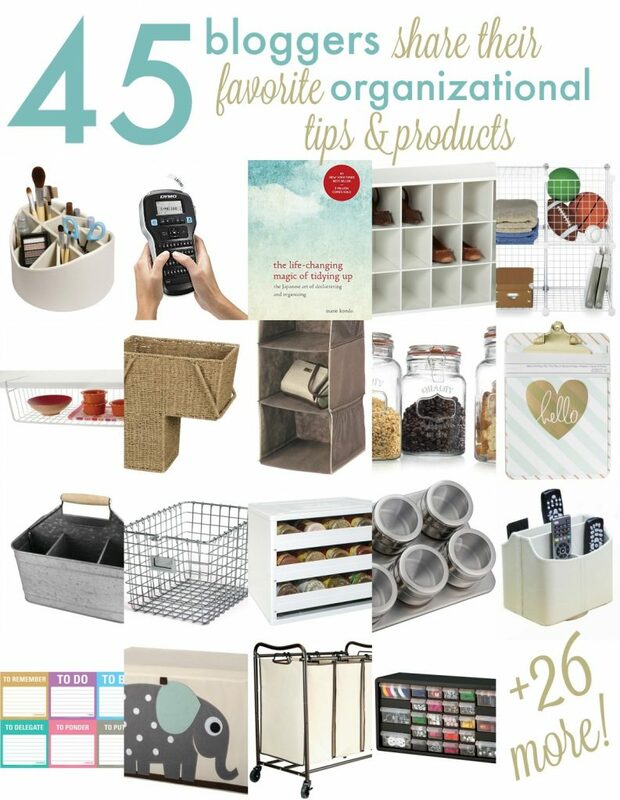 Get Organized with 45+ Organizing Ideas! The New Year means new goals for many…and a lot of people take this opportunity to get reorganized and refocused in the New Year. 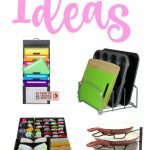 Today we have teamed up with a great group of bloggers to give you over 45 home organizing solutions for your household! 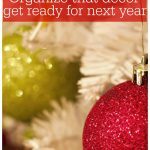 Each blogger is sharing their favorite organizational products. **NOTE: Each link contains affiliate links to Amazon. These posts are not sponsored and each blogger has selected their items based off personal preferences and experiences. The bloggers participating, nor Amazon and their vendors, can’t guarantee that the prices won’t change during or after the publishing of this post and are hereby released of any price matching guarantees or liability. Please understand, these are personal recommendations from popular bloggers in the industry. Enjoy! 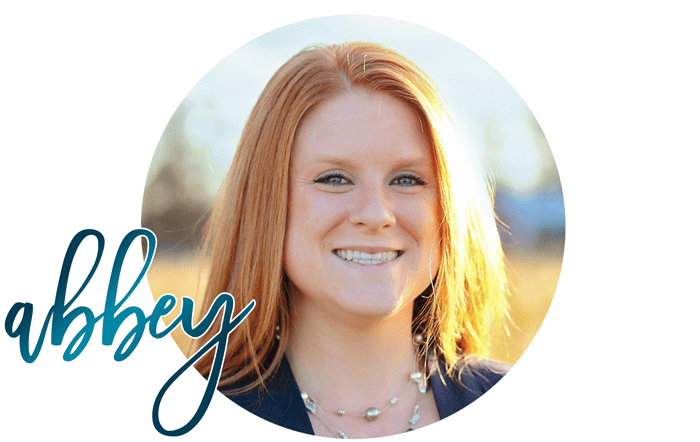 Abbey from The Cards We Drew struggles with keeping weekday outfits organized, so it’s easy to get her kids out the door quickly in the morning. 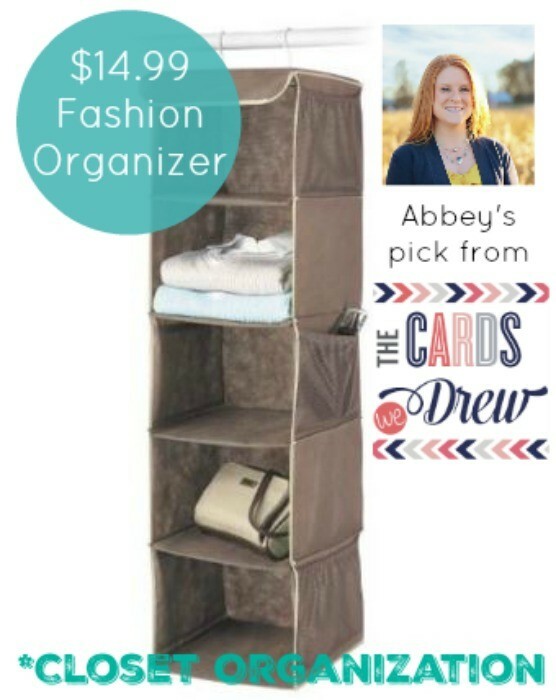 Abbey suggests this awesome Fashion Organizer off Amazon. With the organizer, you can set out your whole week’s worth of outfits all at one time…even labeling the sides of the organizer with the day so that your kids and family with have five outfits pre-selected before the weekday chaos even starts. No more sorting through the laundry or through closets and drawers looking for socks, underwear, and matching clothes…be one step ahead of the game and get everyone’s fashionable week ahead in gear for the new year. Purchase it HERE. 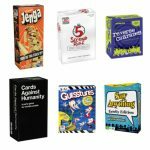 So many amazing products here! 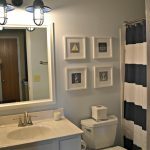 I loved participating in this and am going to have to buy some of these things for myself! Happy Friday & Thank you for this Abbey! OMG, the stair organizing basket!!! I am constantly putting toys and stuff on the stairs that need to be taken upstairs by the kids- but this basket!!! WOW! I NEED it! I’m a fan of Knock Knock’s organization options, especially the lists & folders! I love that staircase basket. I am always leaving stuff on the stairs. I love the stair organizing basket! My favorite idea is the fashion organizer for the closet.